Scholarship - Florida Independent Concrete and Associated Products, Inc. Applications are now being accepted for The Richard C. Martin Memorial Scholarship. This program is open to any dependent child of any Florida resident employee working full time for a producer or associate member company of FICAP. 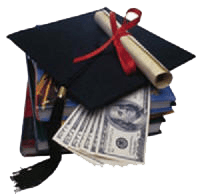 Scholarship will be granted for accredited junior college, college, or university level. Consideration will be given to students in concrete related studies, engineering, architectural, building construction or business programs in Florida or other selected schools.